Jotun Steelmaster 60WB is a one component waterborne acrylic thin film intumescent coating independently approved for fire protection of structural steel exposed to cellulosic fire. Jotun Steelmaster 60WB is specially designed as passive fire protection for steel constructions. 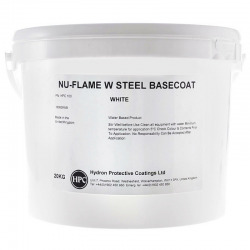 Suitable for structural steel to be exposed to a wide range of corrosive environments up to high as a part of a complete system. Additional certificates and approvals may be available on request. Steelmaster 60WB is applied using airless spray, roller and brush for touch up only. For the full guidance notes download the Steelmaster product application guide. Please note: Grey in this product is now made to order - minimum quantities and lead times may apply. No, only an approved Jotun topcoat should be used. Approved topcoats for Jotun Steelmaster 60WB currently include Jotun Conseal Touch-Up, Jotun Pioner Topcoat, Jotun Hardtop AX, Jotun Hardtop XPL, Jotun Hardtop HB and Jotun Futura Classic. You must check with our Technical Department before proceeding as Jotun do continually update their recommendations/approved topcoats. 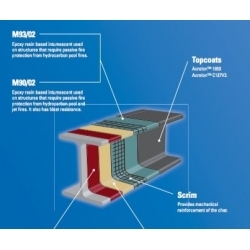 The maximum total dft of the topcoat(s) should not exceed 125 microns. 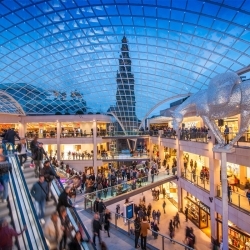 Prior to application of the topcoat ensure the SteelMaster system is fully dry to recoat and the SteelMaster system has been applied at the specified dft. Only approved Jotun topcoats may be used on SteelMaster. Jotun does not accept responsibility for topcoats manufactured by third parties. Jotun does not have control over consistency or quality of products manufactured by other parties. No by brush only. If spray application is required use the aerosol version instead. 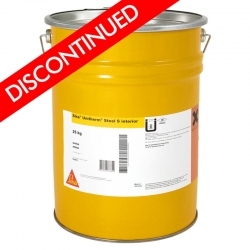 Jotun Steelmaster 60WB itself does not offer any corrosion protection. However, when used with the correct primer/topcoat combination you can achieve up to 15 years expected service life from the system as outlined in ISO 12944-2. 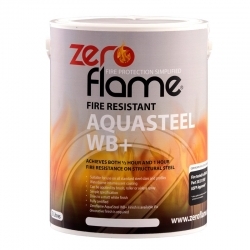 For an internal C3 environment, a suitable primer and Steelmaster 60WB alone should give the required protection. If Steelmaster 60WB is to be left exposed and not clad or boarded in, a suitable topcoat should be used to finish the system to prolong the service life and achieve the 15 year + durability. Question: is it best to erect the steelwork (primed) then spray the fireproof paint after.? Jotun Pilot QD Primer is a compatible primer and often used under Steelmaster 60WB on bare, prepared mild steel sections. 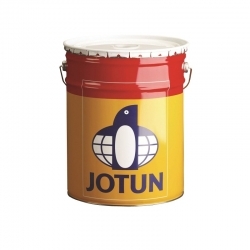 Jotun Pioner Topcoat is often used as a compatible finish if required. Will Jotun Steelmaster 60WB be ok to use on ducting for fire protection? No, Jotun Steelmaster 60WB is for structural steel members in a building. Duct work is normally thin galvanised metal sheet rolled up to form the ducting tubes and is too thin to protect with an intumescent paint of this kind. 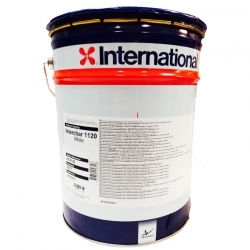 Sherwin-Williams Firetex M72 is a solvent based intumescent mastic coating, used for the repair of small areas of mechanical damage to Firetex range of intumescent coatings. 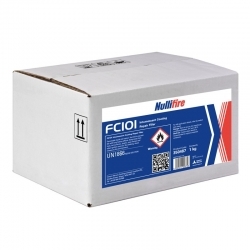 Nullifire FC101 Intumescent Coating Repair Filler is a single pack, high build filler based on thermoplastic acrylic resin and hydrocarbon solvent designed specifically for the repair of minor damage to System S Intumescent Basecoats applied to structural steelwork. 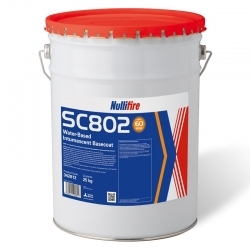 International Interchar 2090 is a single component, solvent borne, borate free, high solids, low VOC intumescent coating designed to maintain your architectural aesthetics whilst providing fire protection for up to 120 minutes for columns, I-sections, cellular beams and hollows. 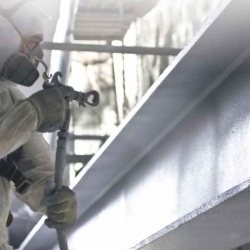 Sherwin-Williams Firetex FX5090 is a water based TCEP free thin film intumescent coating, designed for application by airless spray to provide fire resistance for periods of up to 120 minutes on structural steel. We no longer stock this product, but can recommend Jotun Steelmaster 60SB as a great alternative. Sherwin-Williams Firetex FX2003 is single pack thin ﬁlm intumescent coating, designed for in-shop application by airless spray to provide ﬁre resistance for up to 120 minutes on structural steel. Sherwin-Williams Firetex M71V2 is a sheen decorative topcoat for the Firetex range of single pack intumescent coatings and also provides protection when used in internal semi-controlled conditions where condensation may occur (Category C2 as defined in ISO 12944-2).